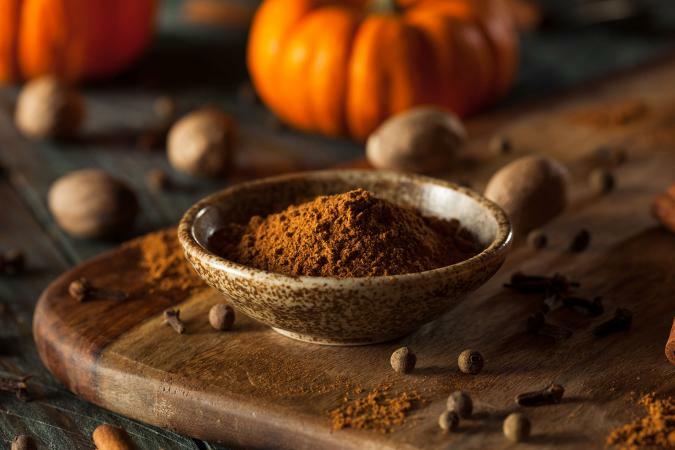 Mixing up pumpkin pie spice is actually a very simple process. This skill will allow you come up with your own signature blends that will make your gourmet dishes unique. This classic recipe can be used to make pumpkin pies, apple pies, mulled cider, or spiced lattes. It's fabulous stirred into the whipped cream you use to top your pumpkin pie. Use 1-1/2 teaspoons in a pumpkin pie recipe. Combine all the ingredients in a small bowl and mix well. Decant the mixture into a small jar with a tightly closing lid. This recipe adds a bit of cayenne pepper and mace for a little kick. This recipe would be great sprinkled on chicken before it's grilled, sprinkled over vegetables before you roast then, or rubbed on steak kabobs. Use 1 to 2 teaspoons. Combine the cinnamon, ginger, nutmeg, allspice, cloves, mace, paprika, and cayenne pepper in a small bowl. Mix with a wire whisk to blend. Spoon the mixture into a small container with a tightly closing lid. A bit of brown sugar tempers the spiciness of this mix. Some cardamom, a classic Scandinavian spice, adds more sweetness and a slightly smoky flavor. Use about a teaspoon in gingerbread cookies, banana bread, pancakes or waffles, or sprinkle it over hot popcorn. Combine the cinnamon and brown sugar in a small bowl and mix well. Make sure the spice is combined with the sugar. Add the remaining ingredients and mix until the color is uniform. Pour the mixture into a small container with a tight fitting lid. If you grind your own cinnamon, nutmeg, cloves, and allspice, the mixture will be much more pungent. Use about half of this mixture when making recipes that call for pumpkin pie spice, such as pumpkin cake, cheesecake, and pie. You'll need a spice grinder for this recipe. You can use a coffee bean grinder, but clean it thoroughly before and after grinding the spices. You'll also need a micro plane zester. Break the cinnamon sticks into small piece and put into the spice grinder along with the allspice berries and whole cloves. Grind until a fine powder forms. Decant this mixture into a small bowl. Using the micro plane grater, grate about 1 teaspoon of the nutmeg into the bowl. Stir well, then decant into a small jar with a tight lid. The best container for storing your homemade spice is a small glass jar with a tight fitting lid. You can use plastic containers too, or even small plastic bags. Store the spice in a dark cool place for about 1 year. You can freeze the spice up to 3 years for longer storage, but the spice intensity will decrease. These recipes would be wonderful with the addition of pumpkin pie spice. Think of the recipes you'd like to make in the fall; chances are you'll like them even more with this versatile spice mix. 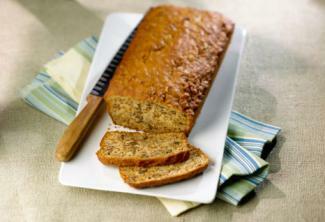 Moist Banana Bread Recipe: Banana bread is delicious with the warming addition of pumpkin pie spice. Use 1 teaspoon in this recipe. French Vanilla Ice Cream: Add a teaspoon of your pumpkin pie spice mix to this recipe when the custard has finished cooking. Basic Pancakes Recipe: Stir 1/2 to 1 teaspoon of pumpkin pie spice mix into this pancake batter. Make the pancakes and serve with warmed maple syrup or honey. Coffe Marinated Pork Chops: Omit the black pepper and ginger in this recipe and use 1 teaspoon of the Spicy Pumpkin Pie mix. Coffee Granita: Add 1/2 teaspoon pumpkin pie spice to this recipe for a fabulous fall dessert. When you have made your pumpkin pie spice mix, be sure to write down the exact amount of ingredients you used so you can replicate it. Then have fun creating your own variations using other spices. And think of more ways to use this versatile blend.